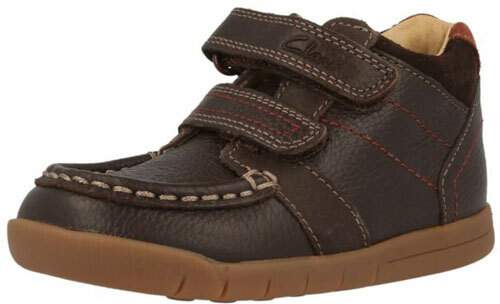 Clarks Crazy Dig – boys boots come in rich brown leather with contrasting red and beige stitching. 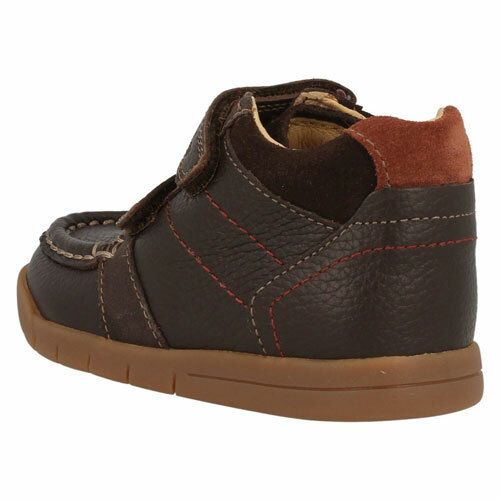 Chunky and rugged, these boots have a thick rubber sole in a paler brown which adds to the casual look. 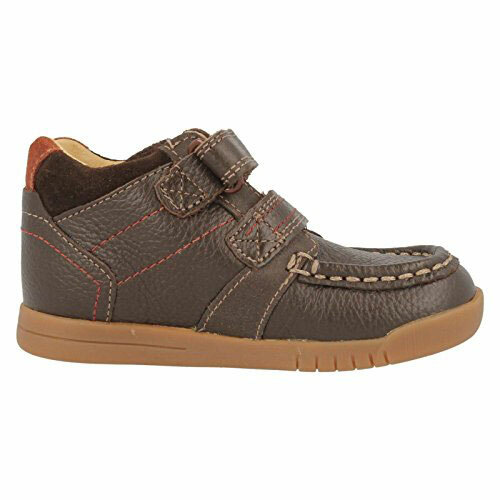 Leather lined at the ankle with thick padding for support, the Clarks Crazy Dig are great weekend wear and are quick and easy to get on and off, thanks to the two velcro straps.